Boil all the potatoes, cauliflower, carrots and peas. Mash it all together and keep it separately. Heat butter and add onions in a big vessel. Wait till the onions are cooked and translucent, then add ginger, garlic paste and sauté for a few minutes. Cook till the tomatoes are well mixed with the onions. Add pepper and cook for few minutes. Now add the mashed vegetables to the above mixture. 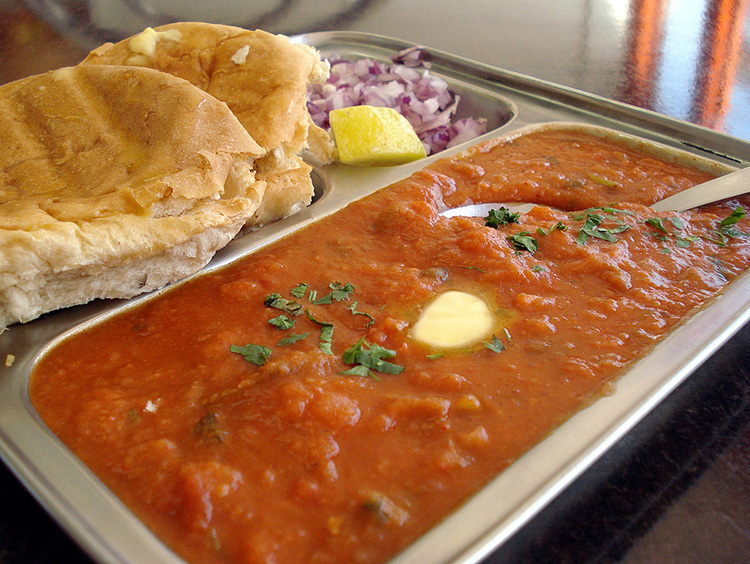 Then add the Pav Bhaji Masala, salt, and some water to make the gravy thick. Let it all simmer for 10 minutes. Serve the bun and curry with a lemon wedge, a dollop of butter, and some chopped onions. Keep aside some of the finely chopped onions for garnish .